Visiting the PRS Wood Library is the musical equivalent of getting a guided tour of Willy Wonka's factory (minus the mortal peril and Oompa Loompas, of course). 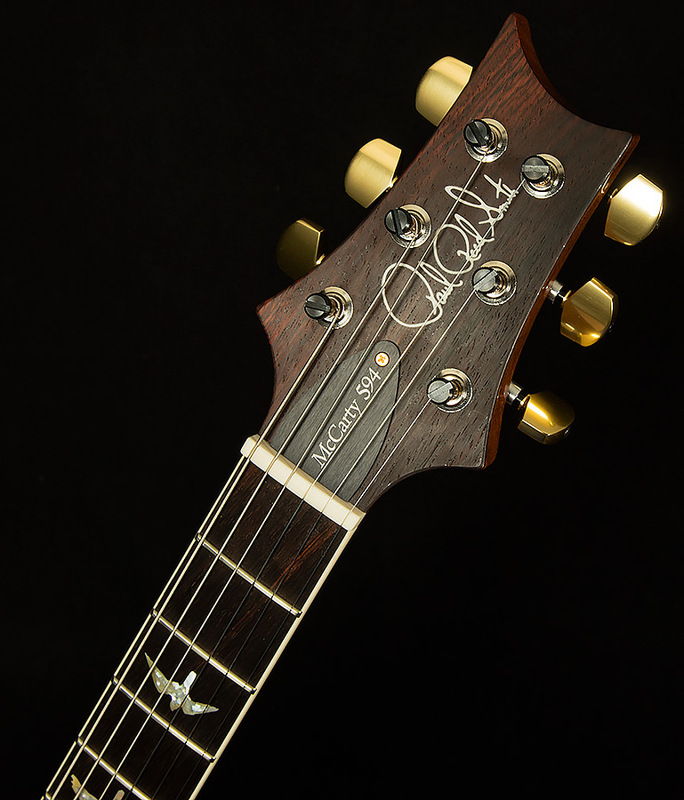 Recently, Paul Reed Smith was kind enough to offer us another golden ticket, and we jumped at the chance to fly out to Stevensville, Maryland to sift through his selection of world-beating tonewoods to spec out our next run of Wood Library guitars. 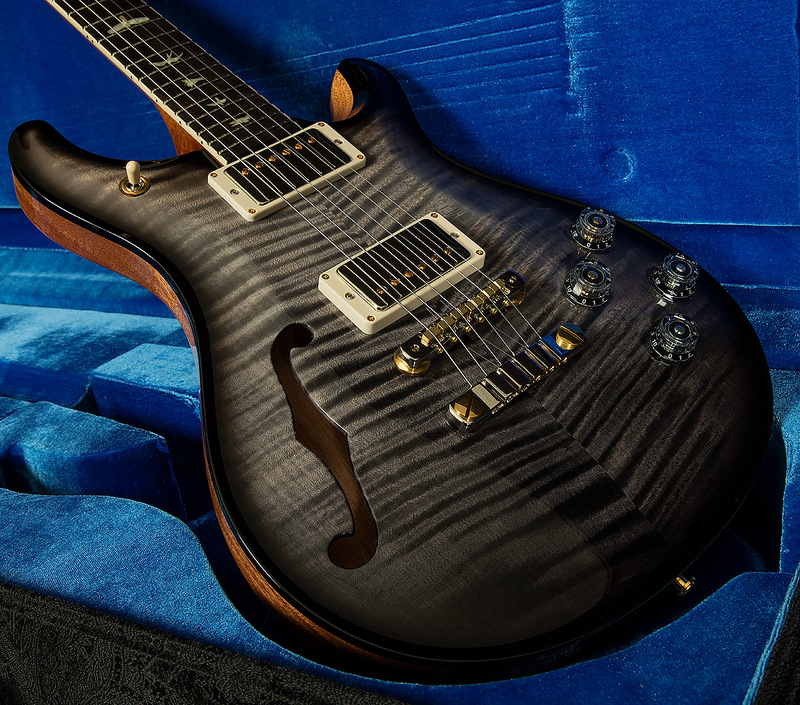 For this run, we used the Semi-Hollow McCarty 594 (a perpetual Wildwood favorite!) as our building block. We found some choice cuts of Brazilian rosewood for the fingerboards, and we spent hours looking through stacks of gorgeous maple to find the cream of the crop. It was worth the extra time, because these semi-hollow sweethearts have perhaps the finest array of quilted, flamed, and 10-Top maple ever to grace the shelves of Wildwood Guitars. But, these Wood Library wonders aren't museum pieces! They sound so sweet, it would be a crime to merely admire them from afar. The Semi-Hollow McCarty 594 is an inspiring instrument in the first place, and its semi-hollow construction gives it a healthy dose of extra openness, richness, and resonance. 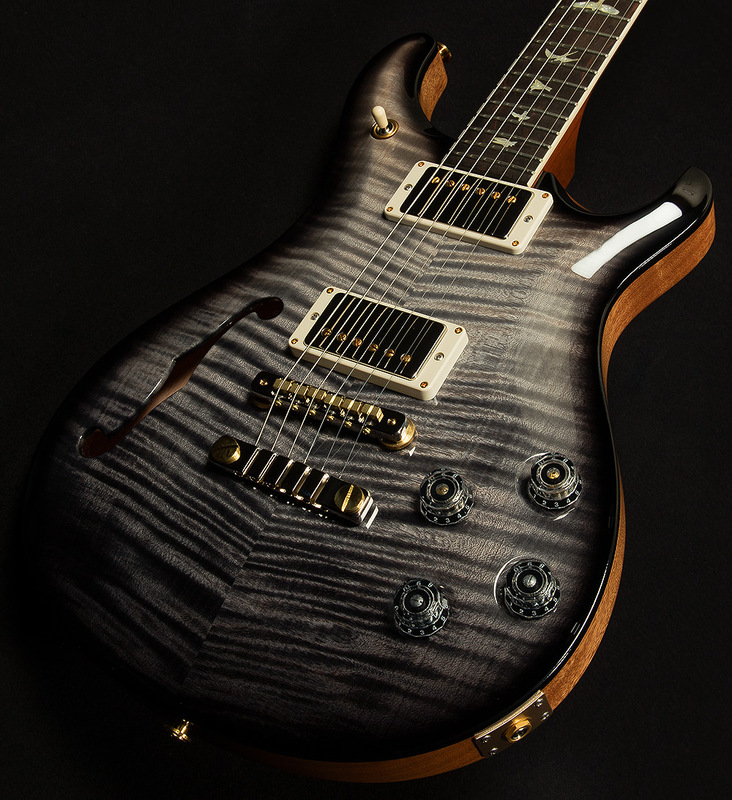 When you add in the sweet underwound sounds of PRS's 58/15 humbucking pickups, the resulting sonic cocktail is quite intoxicating! The bass response is warm, woody, and clear, the midrange sparkles and soars, and the highs sing with the sort of bell-like chime that tonehounds spend their lives chasing. 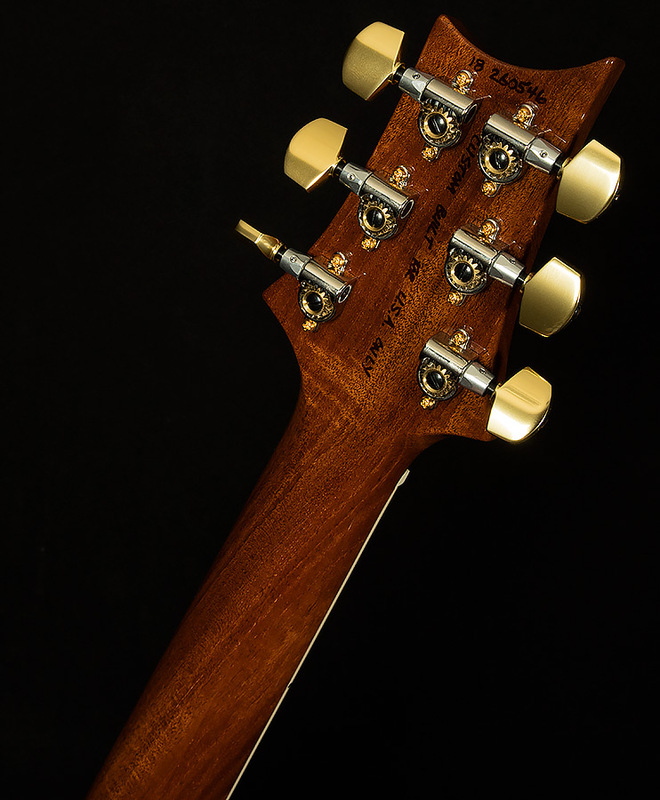 The real magic comes from the way the the vintage-style electronics interact with the Brazilian rosewood fretboards. Brazilian rosewood imparts an inimitable sweetness to the front end of every single note you play, and it is simply magical. After one strum, it immediately becomes apparent that these Wood Library creations have vintage hearts and souls. What makes these Semi-Hollow 594s so astounding is the way they marry classic sounds with modern playability and versatility. The ergonomics are spectacular thanks to the inviting Pattern Vintage neck profile, which we think is just right: not too fat, not too thin. Also, both humbuckers are coil-tappable, so you can access a varied palette of brighter, thinner sounds. All of this adds up to to a playing experience that will impress even the most demanding, discerning players. 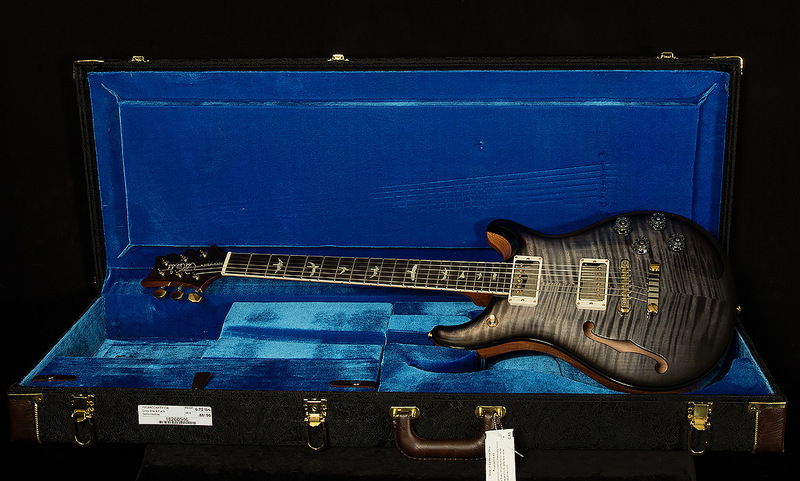 We are proud to showcase the latest creations to emerge from Paul Reed Smith's fabled Wood Library. 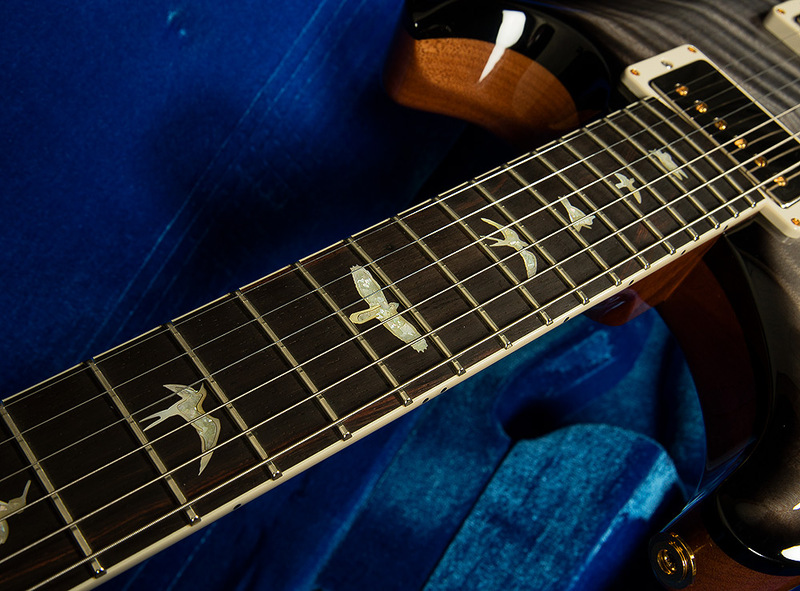 We believe that they are shining examples of PRS's wizard-like excellence in the field of lutherie, and that their beautiful materials and impeccable craftsmanship place them in the six-string pantheon of greatness. We are sure that they will bring you endless joy and inspiration, and we hope you have a blast browsing our selection--just make sure not to drool on your keyboard!